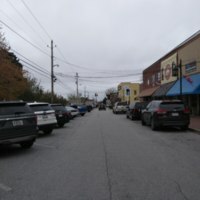 The Main Street of 2018 features boutique style storefronts and restaurants. Many long-term residents no longer occupy the spaces around Main Street, though some still shop there. 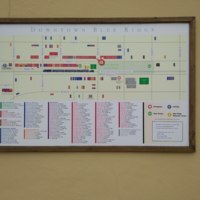 This guided map, posted on Main Street, shows tourists locations of interest on Main Street. A major change in the county was the vote to allow alcohol sales in restaurants. There is some debate as to how dry the county ever was, but many lifelong residents agree that recent changes in demography have increased the amount of drinking in the county. 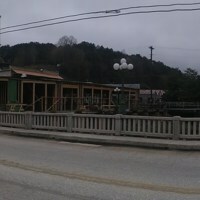 While McCaysville was once a hub of industry and commerce in the county, it currently features many empty storefronts. However, it plays host to a growing amount of residents who can no longer afford the cost of living in Blue Ridge. There is rumor in the community that a wealthy newcomer is investing in downtown McCaysville, this is evident by the obvious renovations the historic storefronts are undergoing in 2018. Over the years, developments similar to Sky City grew up further from downtown Blue Ridge. These moved the daily commercial interactions out of downtown, and even away from Sky City itself. 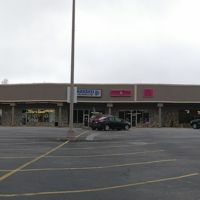 The strip mall now hosts many discount stores, and is arguably the lesser of the multiple commercial developments in town. Cochran's Jewelry Store outlasted almost all of the other storefronts on Main Street. In 2018, the family closed the business. 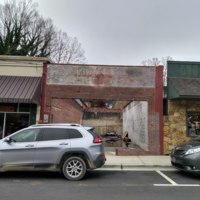 The storefront will not sit empty for long, and will likely be unrecognizable in a matter of months after the Cochran family vacates it. 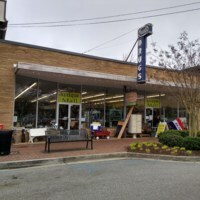 The Drug Store remained open during the early 2000s, but by 2017 it was converted to an antique store. 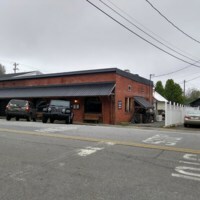 Though many residents remember the abundance of antique stores on Main Street as the town became more reliant on tourism, this antique store is currently a minority among boutiques and real estate offices. By the 2000s, Blue Ridge's Main Street was transformed into a nostalgic version of its former self. The transition began with antique stores, which were eventually replaced by the current boutiques.